HOW TO MAKE – LOLLYPOP STICK SNOWFLAKES! These snowflakes are really easy to make and a fun decoration to make your house look festive! 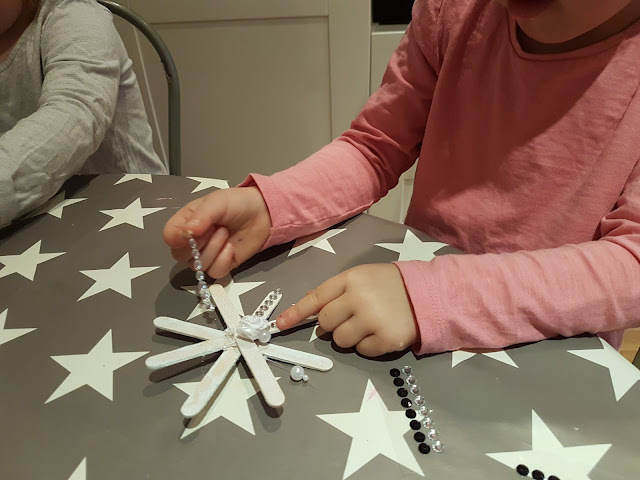 Glue the lollypop sticks in to a snowflake shape for your children as this can be unsafe for the very young children and hot glue works much better than PVA. Let the children paint their snowflakes front and back. Once dry provide a selection of items that can be stuck on to make the decoration shinny and sparkling! 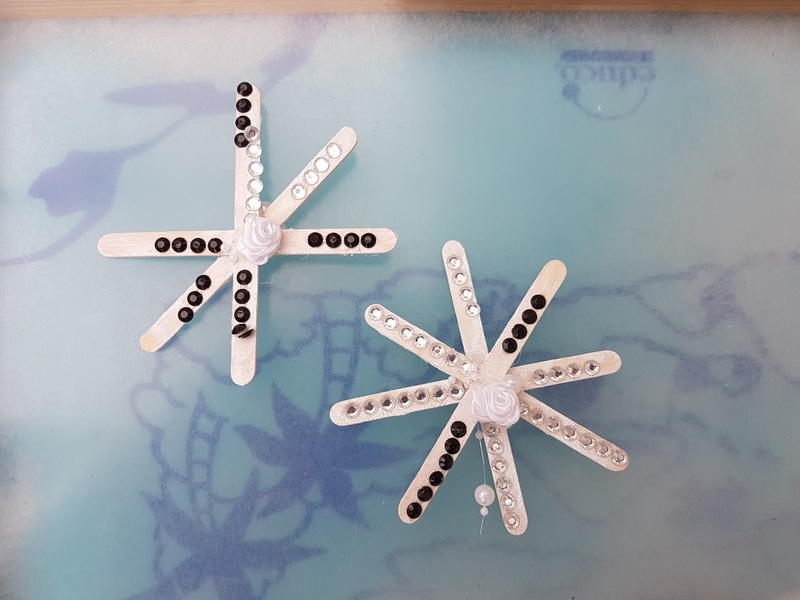 Once finished, add a string to the snowflake and hang it on your tree! Super simple to make and effective!